I was in Mexico on a study abroad program with Freed Hardeman University. Shortly into the trip, I noticed the most beautiful girl I had ever seen. For two weeks, I walked around and occasionally glanced at her from a distance (most call this stalking…but I like to define the terms). One early morning in a computer lab, a friend of mine encouraged me to say hello to this beautiful woman. As she was walking past my computer, I grabbed her arm and asked her, “Has anyone told you how beautiful you are today?” I thought it was a great question but it created an awkward first impression to be sure. Later that same day, we were introduced more formally by a mutual friend. I knew this woman was way too pretty to date a guy like me so I decided to not be so forward. I invited her to a Bible study our group was having the following Wednesday night and to my surprise she came. Did I mention this girl was beautiful? As it turns out, she was as beautiful on the inside as she was the outside. She gave me the privilege of her company every night for the next week. The purpose of our time together was studying the Bible. As we studied together, she realized some fundamental truths in God’s word she had never studied before. God granted me the honor of baptizing this beautiful woman at 1 a.m. in a swimming pool in the middle of Mexico. I continue to marvel at the amazing spiritual growth that takes place in the heart of this Godly woman. After she was baptized, we had about 5 days together before I had to go home and prepare for my final year of college. During those 5 days, I did everything I could to convince her I was the guy she needed to spend forever with but it was a pretty difficult task considering we hadn’t known each other that long. When school started, we decided to date long distance. I was in Tennessee and she was in Ohio so our time together was not that frequent. Once every month, I would drive 10 hours to see her and 10 hours back. Those were short weekends to say the least. The longest consecutive time we spent together before we were married was the two weeks before we exchanged vows. Needless to say, we got to know a lot about each other through the phone. During Christmas break of our last year of college, I flew up to Ohio and surprised her at a restaurant. She had her face hidden by a menu when I came out as the waiter. As soon as she realized I was there, she stood up. When she stood, I hit a knee and asked her to be my bride. I would say, “The rest is history” but that wouldn’t adequately describe the joy this wonderful woman has brought to my life. In August of this year, we will have been married for 8 years. God has blessed us with 3 beautiful children and placed us in a ministry we plan on spending the rest of our lives in. The longer we live, the more God seems to bless us. I have no doubt these blessings are a result of the Godly beginning in our relationship. From the beginning of our relationship, whether we were together or apart, we have prayed each night. Together, we share our desires, needs and concerns with our heavenly Father before we lay our heads down each night. Many people want their spouse to love and put them first. I am thankful I found a woman who puts me second. I am thankful she puts God first. It is because she puts God first that our marriage is so strong. What a blessing it is to grow old with my best friend. 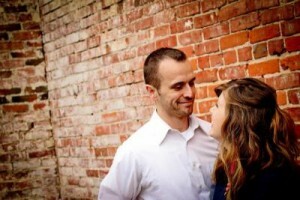 Chase and Kristen have been married for seven years, and he currently serve as the Spanish Minister with the Jackson Street church of Christ in Monroe, LA. They have have three children - Ellie, Hannah Rose, and Benjamin.